He’s the guy you know who is really cool, kind of a loner, and a bit dangerous as well. He’s under the radar and likes it that way. He’s confident. He’s relaxed. He’s Trent. 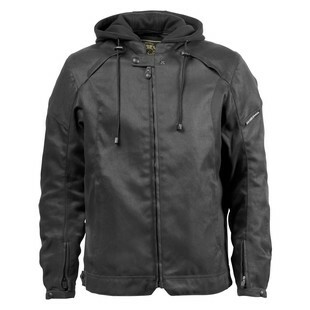 With an outer shell that is comprised of DuPont Kevlar and Cordura, the new Roland Sands Trent Jacket boasts the protective capabilities to match its stylish aesthetic, so don’t let the low-key looks fool you! It is a motorcycle jacket through and through. From the cafe snap collar to the CE approved Level-1 armor at the elbows and shoulders, the Trent jacket knows it belongs on two wheels, even if it looks like a fashion jacket built for NYC’s Fashion Week. Additional features include zip close vents for added airflow, a fully-lined satin poly interior with mesh inserts, and a classic fit with sleeves that have been pre-curved for added comfort in the riding position. The rage these days is all about amping up the “cool” and toning down the “Power Ranger” look. Trent gets it, and abides.